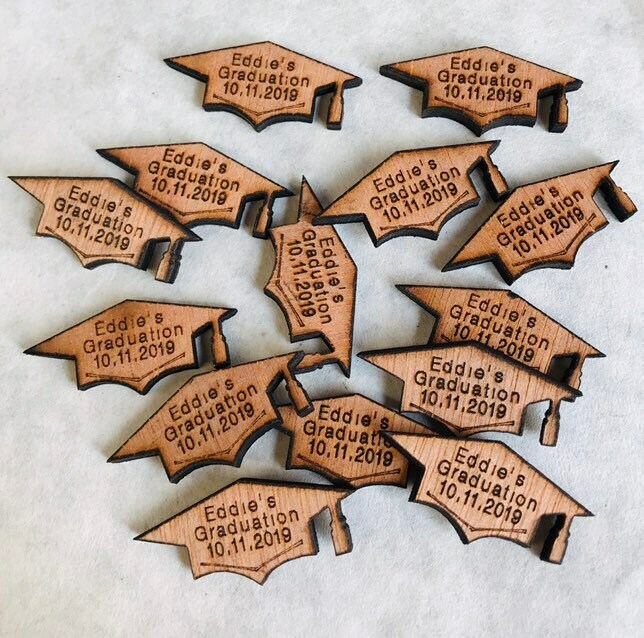 Personalised Wooden Graduation Cap Custom Confetti, Table Decor Party Decorations, Exam Achievement Congratulations Celebration, Well done! 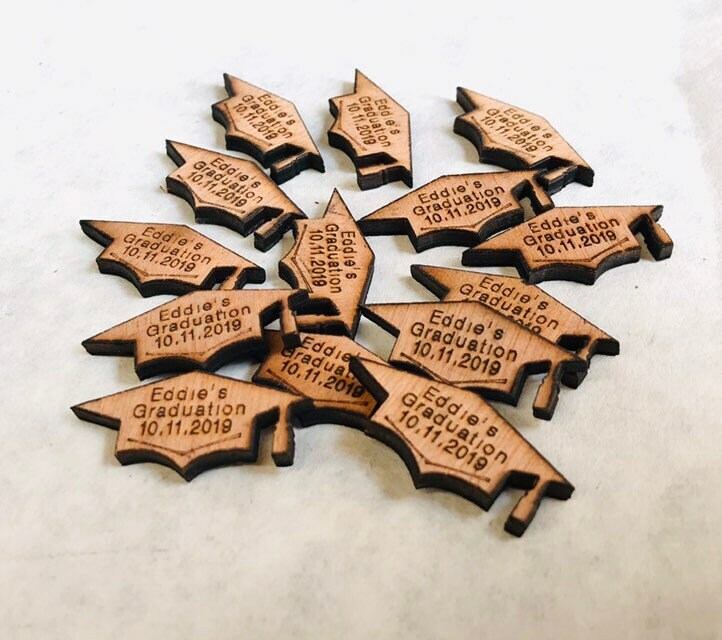 Personalised Graduation Cap Custom Confetti, Table Decor Party Decorations, Exam Achievement Congratulations Celebration, Well done! Cut from 3mm high quality hardwood. Suitable for: weddings, anniversaries, birthdays etc. Personalised with engraved names & a digit numerical date. Quantities are approximate. You may receive a few more or less. If you need an exact quantity, please order more than you require. as these are machine made, and slight variations in quantities will occur. When sending your details please ensure accuracy and that you capitalize the surname required how you want it to appear, as mistakes cannot be rectified after the item is produced.